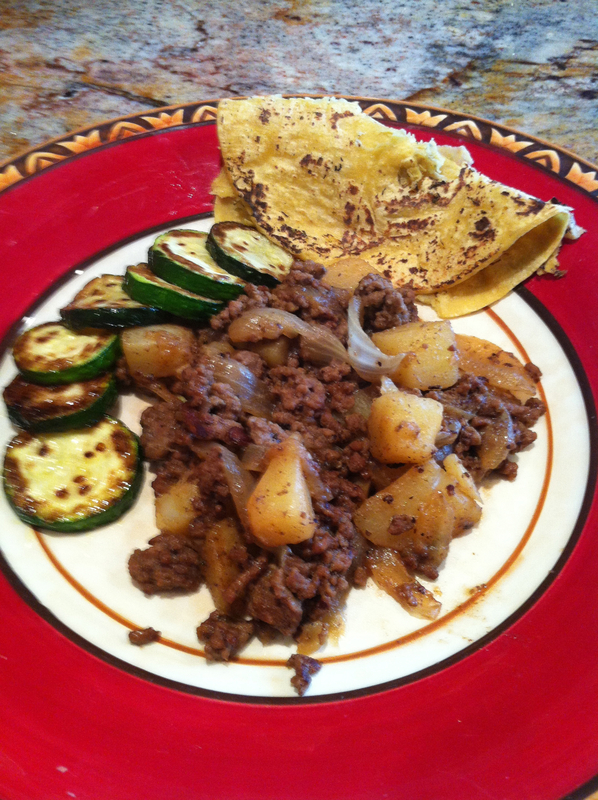 Texas Mexican Picadillo is seasoned with black pepper, cumin and garlic. We add potatoes but not raisins nor olives as is typical farther south and especially in the Caribbean. Thank the maker for diversity. In our home this is how my amá made it. 1. In a skillet heat the oil on medium heat, then add the onions and cook until they are soft. 2. Add the ground beef and brown it. 4. 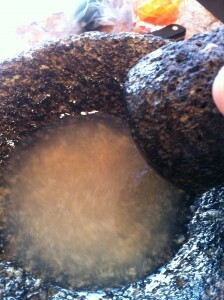 When the meat is completely browned, add some of the water to the molcajete and pour the contents into the skillet. You may have to do this several times until you’ve scraped away all of the paste off the molcajete. Scrape the bottom of the skillet to deglaze. 5. Pour the remaining water into the skillet, add the potatoes. Cover and cook for 15 minutes. Uncover and let most of the liquid evaporate. 2. Cook until the chiles and tomatillos become soft. The color will change. 3. Drain and then place in a blender. Add the salt and purée until smooth. Está listo. It’s ready.